Coming to this series late, I've often been amused by the fact that Sheldon succeeds as a main character. 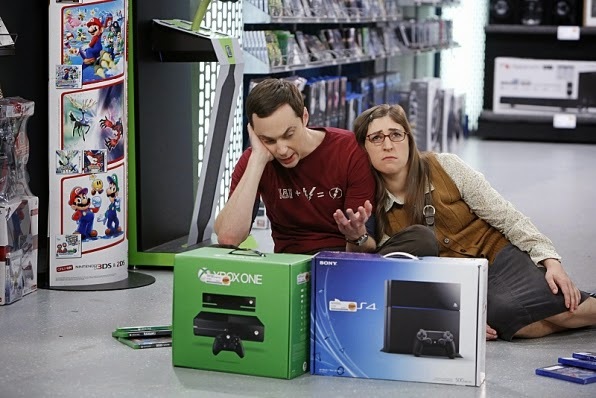 And he does it quite well, as evidenced by Jim Parsons' multiple award nominations. In the latest season, however, it's interesting how much Sheldon is changing. From kissing Amy Farrah Fowler to making amends with Howard, every aspect of his life is being thoroughly examined. That said, he still can't manage to focus on choosing a video gaming platform, even after hours of research and deliberation... bless that Amy for sticking by his side through all of that! With such evolution taking place, and a three-season renewal on the books, I'm really curious as to what Sheldon will look like at the end of this series! Also, did anyone else think Bernadette mis-signing a work card was going to result in a Frasier-esque rush to fix it?